To ensure that Ubuntu runs smoothly in every laptops/desktops/servers, canonical has a program called Ubuntu Certification. Ubuntu certification is a program where ubuntu is working together with several laptops/desktops/servers and hardware providers to make sure that Ubuntu can work well on some product they produce. Official Ubuntu (community) conducted some tests on every laptops/desktops/servers using predetermined testing and validation criteria before a servers/desktops/laptops or hardware awarded as 'Ubuntu Certified'. Some laptops/desktops/servers providers who have cooperated with ubuntu including Dell, Wipro, Lenovo, HP, IBM, Acer, Asus, Toshiba, System76, Intel, HCL Infosystems Limited, Citrix Systems, VMware, Sun, and Quanta. 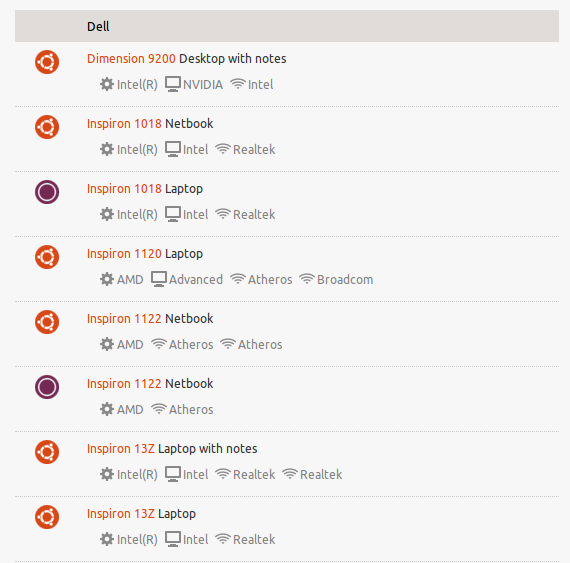 List of laptops/desktops/servers which have been certified by ubuntu can be seen here, at glance dell laptop series dominating the total of laptops that have been certified by Ubuntu. So, if you've a plan to buy some new device (servers/desktops/laptops) and wondered if "can ubuntu works well there ?" , i think it is better idea if visiting this page first. 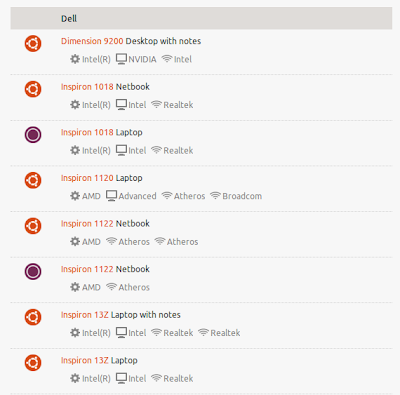 Besides of the project above, there are also Ubuntu community called Ubuntu Friendly which driven hardware validation programme for desktops, netbooks and laptops which running Ubuntu 11.10 and up, The aim of this community is to have a simple and quick way to look up how well machines work with Ubuntu releases. Ubuntu friendly now running in beta and planned to be launch in April 2012. you can also participate in there, see following participation guide or visit Ubuntu Friendly site.